There's a definite dose of magic in the air at NY's MoMA this summer. 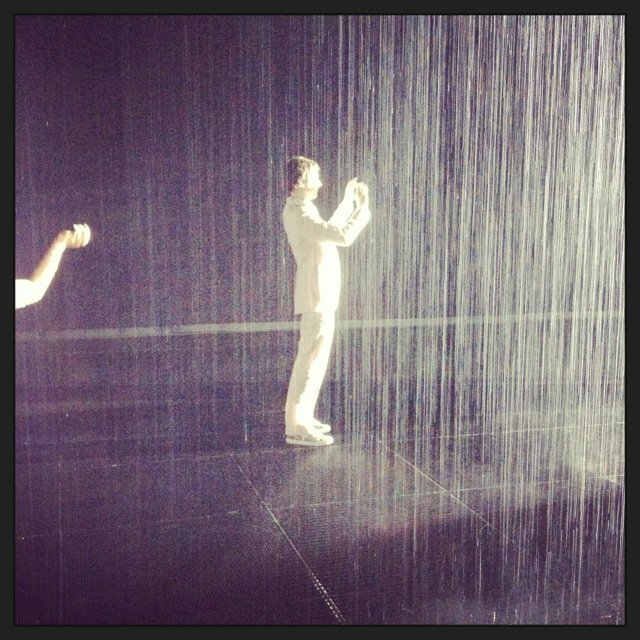 We LOVED our recent group outing there to visit rAndom International’s immersive Rain Room installation. Combining art, design, artificial intelligence and human interaction, the hundred-square meter field of falling water pauses wherever a human body is detected, so that participants may move through the rainfall without getting wet. As in so much of rAndom International’s work, the exhibit really comes to life through visitor participation, simultaneously offering us a sense of connectivity and an opportunity to become performers on an unexpected stage. As one enters the darkened, temporary space, you’re greeted first by the sound of falling water and a sense of moisture. As the installation comes into view, you find yourself face-to-face with an interior downpour. One is advised to move slowly through the curious cloudburst or to risk getting wet—a suggestion happily ignored over and over again by one especially cute and soggy toddler. During the opening, dancers moved in and out of the installation around us as well, adding another level of surrealism to an already dreamlike encounter. 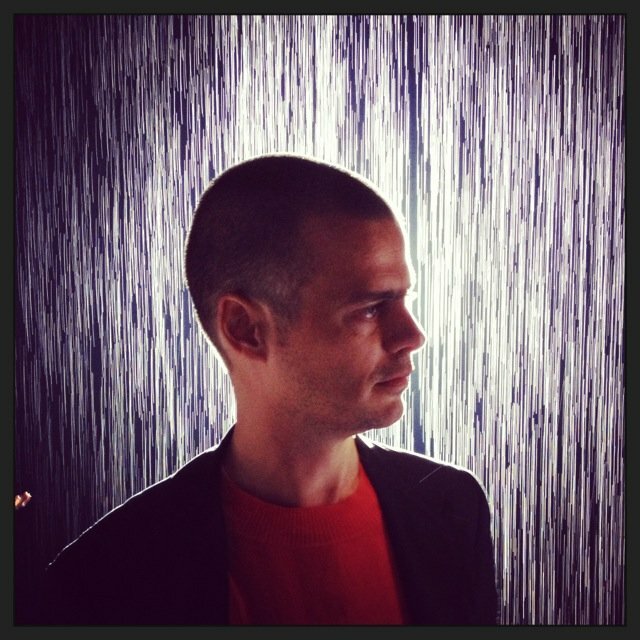 above: Damian enjoys the Rain Room installation as dancers move around him. 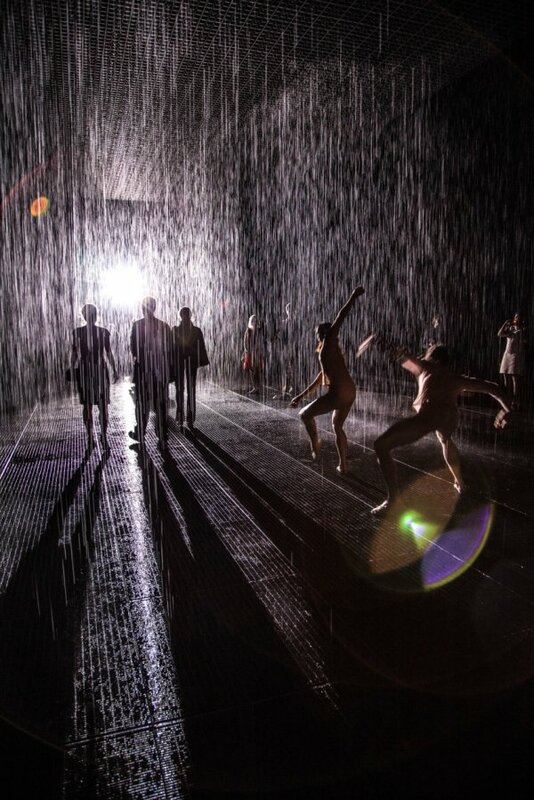 Rain Room is on view at the Museum of Modern Art through July 28th.